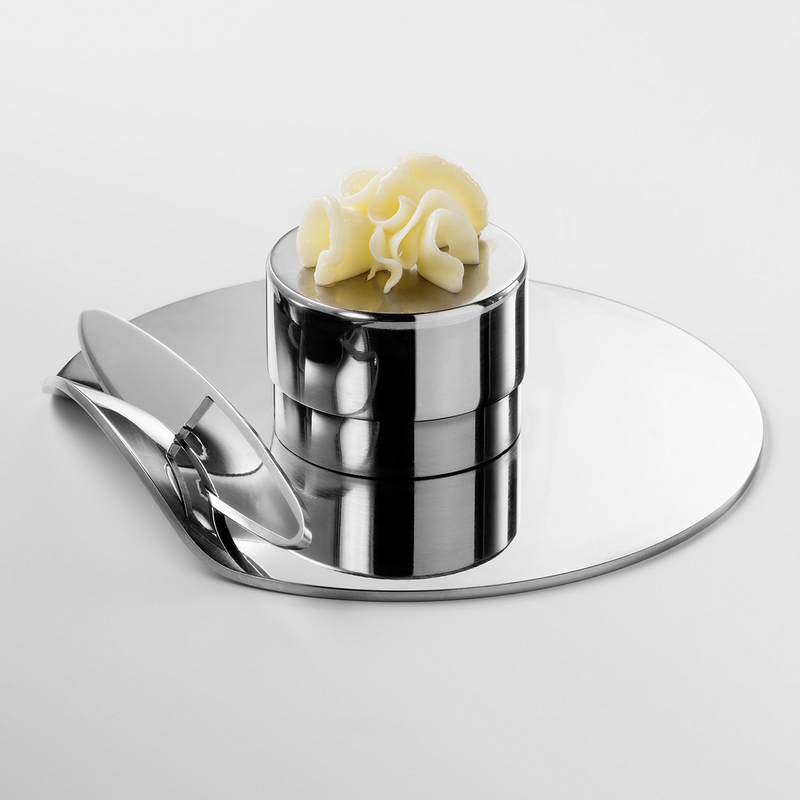 This beautiful butter dish and knife are designed by architect João Faria. Place a pat of butter on the top of the cylinder, then place the cap on top of the butter and press down to make the butter flower appear. Spread butter with included knife. The butter dish's official name is Emotional Object #014: “Iris” because it is a part of a group of expressly designed objects. 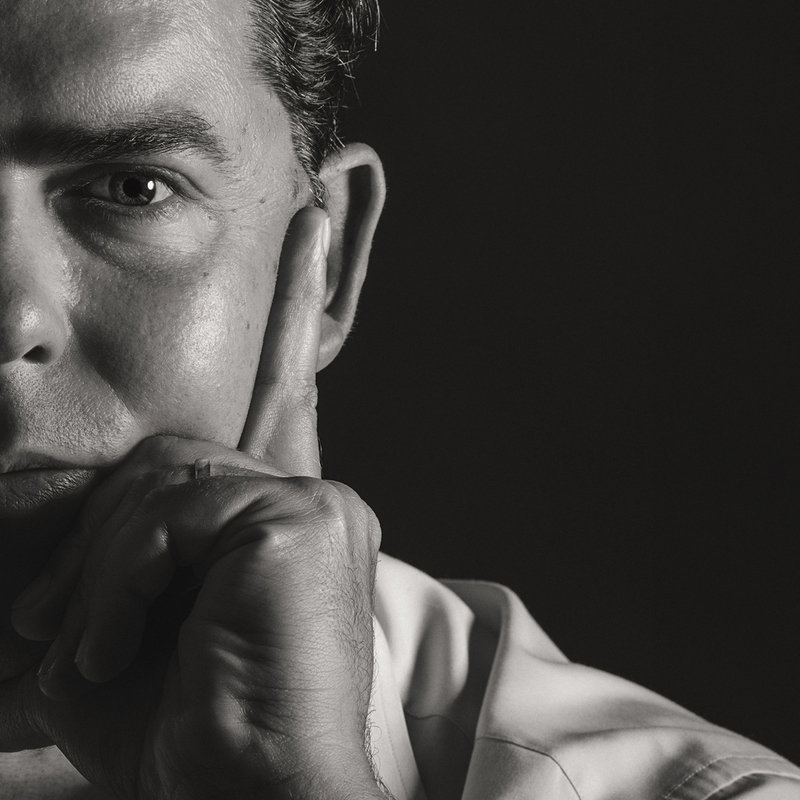 For now, Faria has produced 100 numbered and signed pieces, author’s editions. Made of 316 grade stainless steel, laser-cut and laser welded. Assembled by experienced hands and polished manually to perfection. April 2015: The Íris butter dish won the “Golden A’ Design Award” in “Bakeware, Tableware, Drinkware and Cookware Design” category. 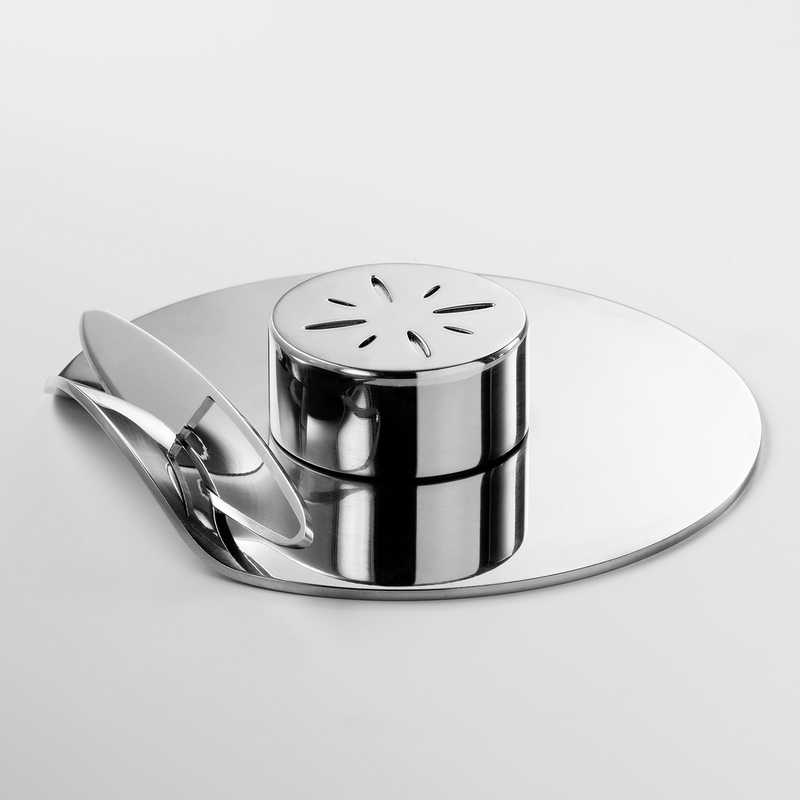 July 2014: The Íris butter dish earned its first prize in the category “Decoration Objects” in POPs 2014 (Portuguese Original Design), sponsored by the Serralves Museum. If I had a restaurant, this would be our butter dish! I have been collecting butter dished for a few years. Most of my butter dishes are personal serving size. I don't yet own a traditional, rectangular butter dish, but there are a few that I have my eye on. I use my butter bell the most. I have a mini that I keep near my stove. One of the butter gadgets that I use the most is my Butter Bell. 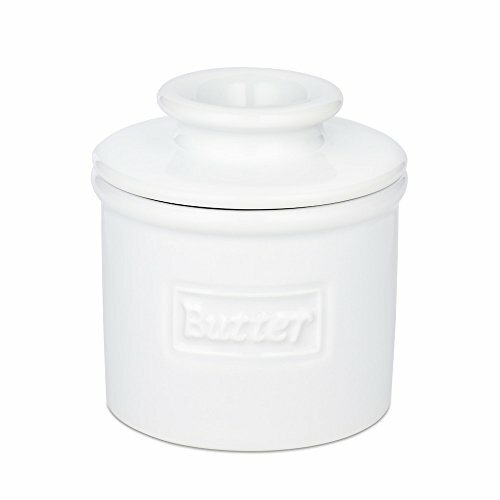 The Butter Bell Crock safely keeps butter at room temperature-- without refrigeration or the threat of spoilage or odors. 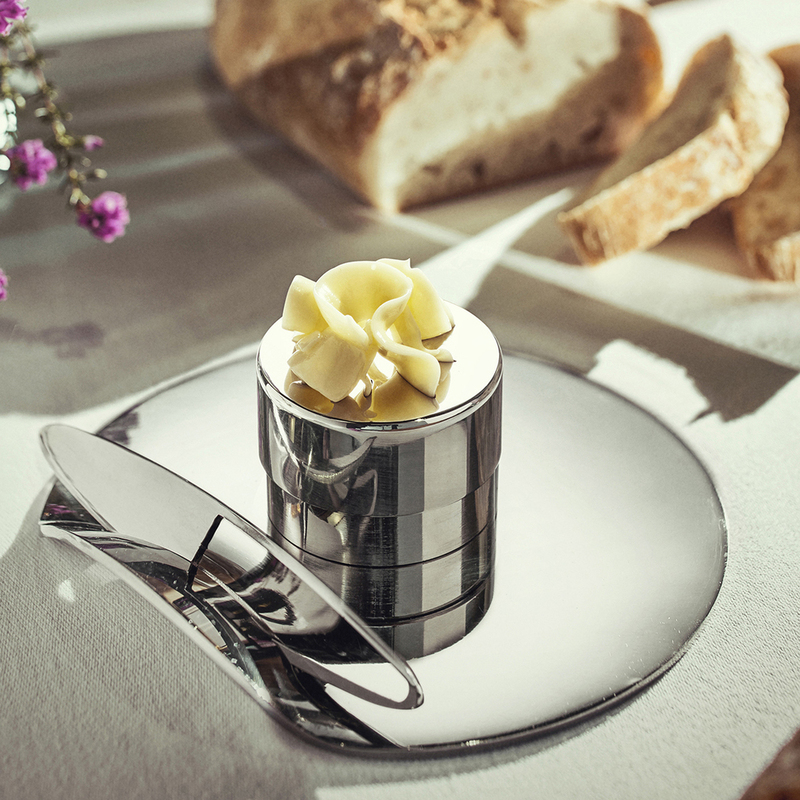 The Butter Bell keeps butter at the perfect spreading consistency. Flavor and freshness is protected by an airtight seal of water at the base of the crock. I keep one near my stove top (for eggs and grilled cheese) and use a mini version at the dining table. I just received my Butter Up knife in the mail today. I found this knife on Kick Starter and pledged. It works really well. The Butter Up knife quickly turns cold, hard butter into sumptuous easy to spread ribbons. One side of the knife has a built in grater to aerate and soften butter making it easy to spread, the other side has a serrated edge for cutting bread. A wider blade helps to collect the grated butter as well as provide more surface area for easy spreading.